LVS Quality measurement Services Limited was established in 2015 to provide the manufacturing sectors with measurement and metrology needs. We work with some of the biggest names in the automotive sector on new and existing projects. Centrally based in Telford, we provide accurate dimensional inspection services to all. With over 20 years of metrology experience, we know that all customers want an accurate, reliable and professional dimensional inspection service that they can trust time and time again. Our state of the art equipment, combined with our metrology expertise, ensures that we offer all of our customers the highest standard of service possible. Unlike larger metrology companies we can offer a more personal approach to all projects that are followed closely from start to finish. Stuart Windsor has over 15 years experience in the field of Quality Engineering. He is a member of The Chartered Quality Institute and is BS EN ISO 9001 Lead Auditor accredited. 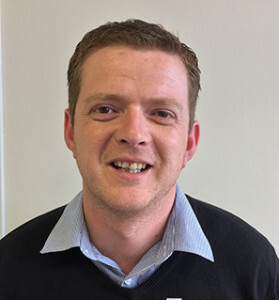 Simon Anderson, Managing Director of a leading Telford based company, supplies plastic moulded components to leading companies in the automotive sector and other key markets. 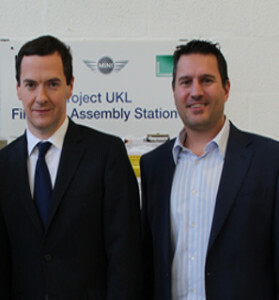 Simon Anderson (right of image) with George Osbourne during a recent visit to his Telford based manufacturing site.